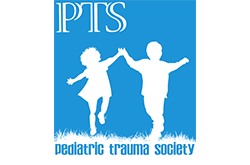 EAST collaborates with the Pediatric Trauma Society on the development of the Pediatric Trauma educational activities that are available through the EAST Education Center. The Eastern Association for the Surgery of Trauma is pleased to be partnering with CECentral to offer online continuing medical education to the Trauma and Acute Care Surgery Medical Community. EAST collaborates with the Pediatric Trauma Society on the development of the Pediatric Trauma educational activities that are available through the EAST Education Center. The EAST Online Education Center was initially supported by the EAST Foundation through an unrestricted grant from Edwards Lifesciences. The EAST Education Center is a convenient way to earn approved CME. The EAST Education Center has been set up so that you may choose the webcasts you would like to view. You can view one or all; you can earn CME for each webcast completed. Follow the steps below to start earning CME. After you select a webcast, complete the pretest (if applicable) before the CME activity is launched. At the conclusion of the CME activity you will be required to complete a posttest and evaluation to obtain your CME certificate. As of December 2012, new activities launched on the EAST Education Center will require a fee to request continuing education credit for non-EAST members. After clicking Get Credit, you will be prompted to pay your fee (non-members) or enter a coupon code †† (EAST members only). Please contact us if you have any technical issues while using CECentral. EAST is a not for profit 501(c)(3) organization established to furnish leadership and foster advances in the care of the injured patient. 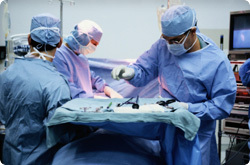 EAST affords a forum for exchange of knowledge pertaining to the care and rehabilitation of the injured patient. Visit the EAST Website at www.east.org for additional information. These activities provide Category I CME and self-assessment credits toward Part 2 of the ABS MOC Program. † Once you have established an account with CECentral, you will not only have access to the EAST Education Center, but to request credit for any of the online CME activities available in 39 topic areas through CECentral. ††Coupon Code sent separately via email. Please contact EAST at managementoffice@east.org for coupon code details.